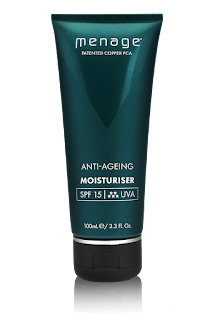 Menage offer the men of today their best Skincare products, for an easy to use skincare regime. The men's high performance products with one of the worlds best antioxidants included in their products, makes not only the products exciting to use but also the only skincare range in the world with Aeris Technology. I was lucky enough to be sent the cleansing face scrub and the daily hand repair. Now i must admit i haven't really thought of using a hand cream before as its something that's not really regimented into any skincare routine or spoken about. When i think of how much our hands go through daily, i realise now, its important. The menage products have a classic and expensive look to them, from the colour of the packaging to the logo design making these look masculine, whilst keeping the instructions simple so u know how to use them. 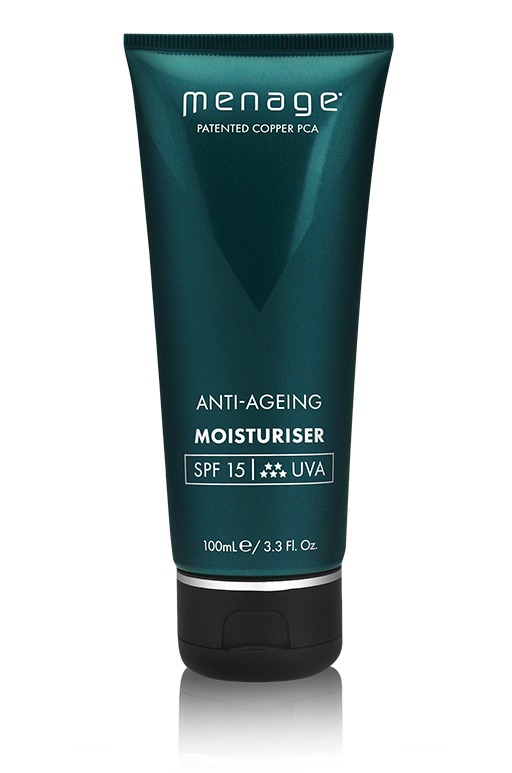 "Instant absorbing hand cream to help re-hydrate and repair damaged skin, but leave hands completely non-greasy - ready to carry on working"
Use each morning and whenever u need it. Apply a pea-sized amount to one palm, rub your hands together a little before spreading over the backs of your hands. This snap cap 75ml hand repair is so easy to use! The cream is of thick consistency and of white colour that has a light citrus scent to it that u can just about smell. The cream was easy to move around on your hands and under a minute this product was instantly absorbed! My hands felt soft and moisturised all day and more importantly..... non greasy!!! An excellent product to use and include in your skincare regime. 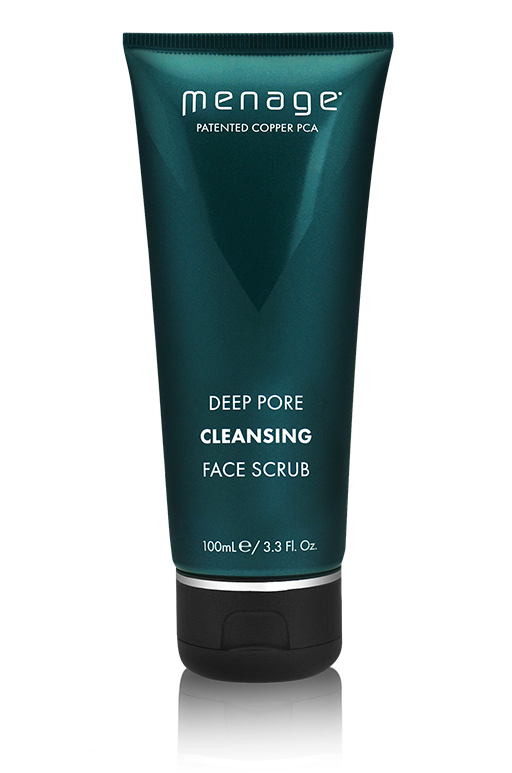 Deep Pore Cleansing Face Scrub. The deep pore cleansing face scrub is 100ml with a snap cap to pop open to dispense the product. "Revitalising natural volcanic scrub for brighter, smoother skin from the first wash. The low lather microfoam helps keep skin hydrated and rinses off in seconds"
Use morning and night. Squeeze a penny-sized amount onto wet skin, scrub using a gentle circular motion, then rinse. The deep pore cleansing scrub is of a light weight consistency but is packed full of the natural volcanic particles (the little black speckles u can visibly see) to give you an amazing exfoliate experience! This foamed up close to the skin, cleansing every pore and washed off really easy. My skin felt clean, refreshed but also perfectly balanced with moisture. 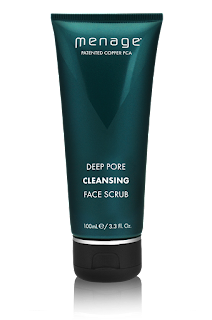 Deep Pore Cleansing Scrub - Click Here. Menage products are a great investment in skincare for men. They offer fantastic products that respect your skin but at the same time work to improve your skin quality. If you subscribe using your email address to Menage, you will be the first to know about any exclusive offers or new products, you wouldn't want to miss out! X Neil.